Google has changed the way businesses are conducted. Today, marketers are always focusing on Googlistic strategies to reach out to their potential customers. Additionally, they are supplementing their strategies with social media integration for better results. However, they do attempt various other traditional marketing strategies; they are largely ignorant about magnet advertising. This blog discusses about possibilities they can explore by working over custom magnets. As said before businesses are largely focusing on Google marketing, but they forget to make their brands available at easily visible places. There are many households in the USA, where seniors live without an access to any social media platforms. Perhaps most marketers are ignoring their concerns and requirements. If you are doing the same, get ready to face failures in the future. You can easily approach them by positioning your contact detail over easy to find places such as their refrigerator doors or work cabinets or working tables, etc. 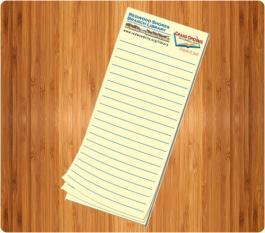 Customized magnets 8.5 x 3.5 can be used to encourage customers to get in touch with you as soon as they can. You can ask them to call you, like your social media pages or buy from you as soon as they see this advertisement. By doing so, you are not only trying to influence their buying behavior, but also converting them into customers for a lifetime. Who said you should only sell, sell, sell, sell and sell to earn profits? Why don’t you try to show by showing your human side? Why don’t you try to show that your business does have emotions? Why don’t you try to show that certain social things also hurt you? If you have been wondering how to achieve this, feel free to express your sentiments through 8.5 x 3.5 magnets. People would appreciate it and they would feel pride to get associated with a brand, which is quite human like them. This is perhaps the best thing you can do by employing these personalized magnets for branding. Customized 8.5 x 3.5 magnets printed with purposeful information such as calendars, sports schedule and others; make a great token of remembrance. Recipients would be happy to retain a purposeful promotional magnet over their refrigerator door or working cabinet as a refrigerator art for a long time, thereby offering you long time advantage. You can avail great discounts by purchasing 3. 5 x8.5 magnets from any reputed online store stocking only made in USA magnets. In addition, you can save on online design proof, art setup, full color printing and shipping, too.